﻿ How to Find top Management Executives of Companies from Professional Networks? LinkedIn is a great source to find your ideal companies who can be your potential prospects. 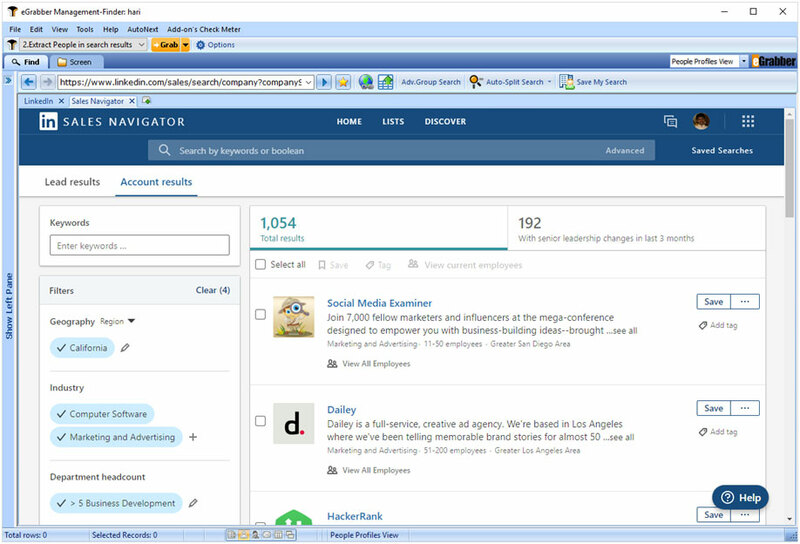 Step 1:Login to LinkedIn via LeadGrabber MF internal browser and search for a list of companies based on industry, employee count, location and other filters to refine your targeted company search. 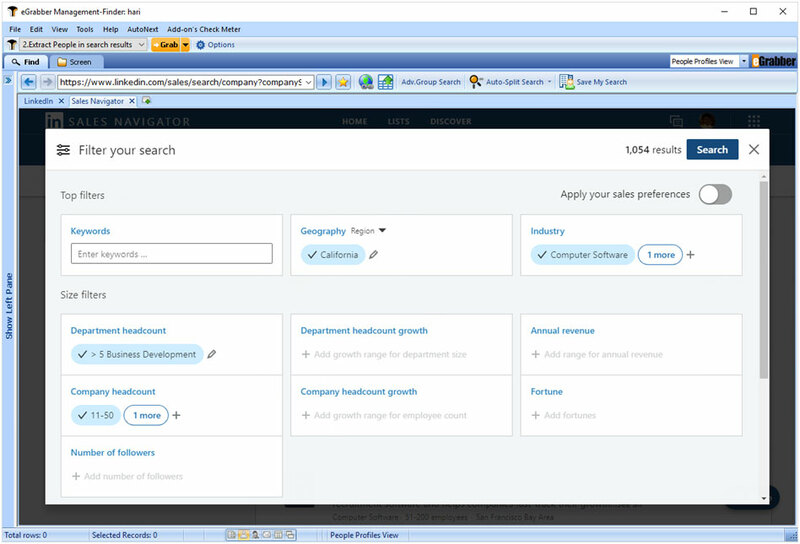 A list of companies for the given search criteria is displayed. 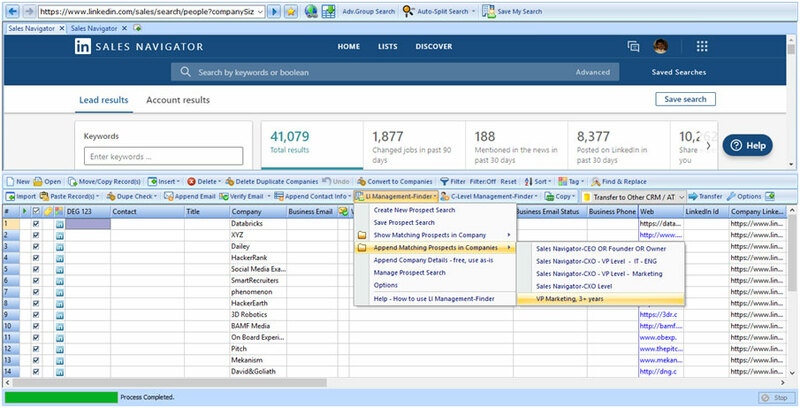 Click "Grab" button to extract all the companies from the search results into the LeadGrabber MF grid. 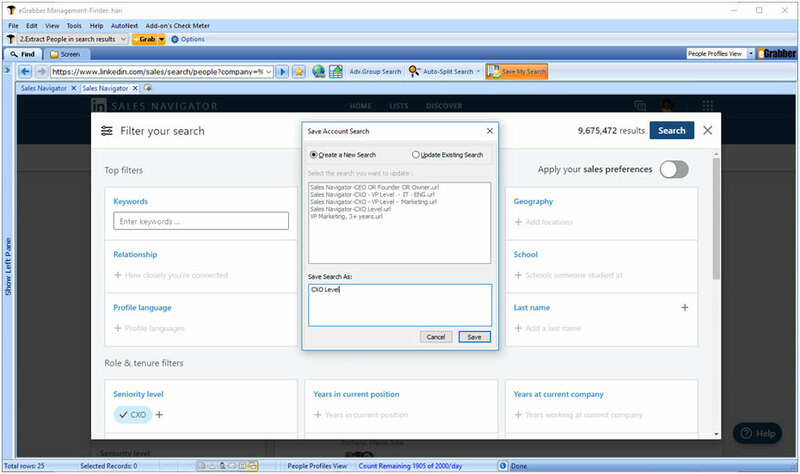 Step 2: In the LinkedIn Advanced Search, enter decision maker titles you want to find. You can select management levels, titles, function, specify keywords and use all filters available on your LinkedIn Advanced Search and save it by clicking on ‘Save Search’ button. For example: ‘CXO Level with 3+ year’s exp’. Step 3: To find decision makers for the extracted companies list, simply select "*Append Matching Prospects in Companies" from the LI Management Finder drop-down and select the search saved earlier (in step 2). 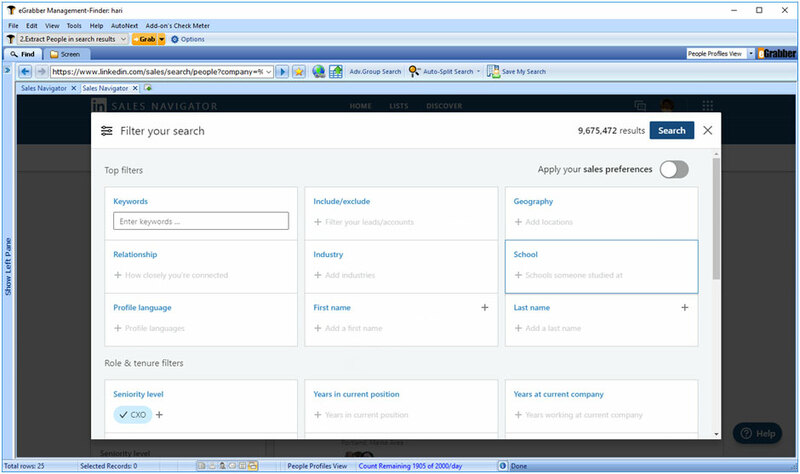 Step 4: To find email addresses of the executives, select the records in the grid and click Append Email option. LeadGrabber MF instantly performs deep web searches and displays the verified business email addresses of Decision Makers in no time. Step 5: Now, you have the ready-to-use management executives list. 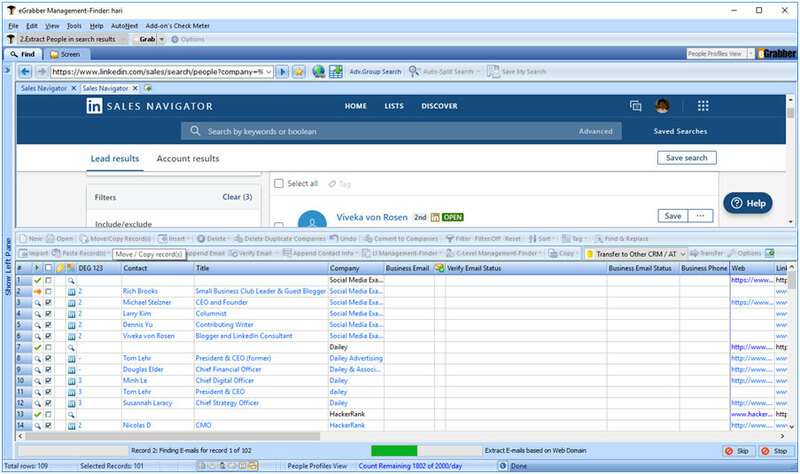 Click on "Transfer" button to export the contacts into Excel/CSV or any CRM /ATS of your choice. Example: SFDC, PCRecruiter, etc.